The tenor Joel Prieto, who was born in Madrid and raised in Puerto Rico, returns to his island to close the 2018 Casals Festival, conducted by the artistic director of the Puerto Rico Symphony Orchestra, Maximiano Valdés. The event appeals for international support and understanding, after the tragedy which recently occured in Puerto Rico, when it was ravaged by the hurracanes Irma and Maria. “Together we are fighting to pick up the pieces of our country,” Prieto affirms, “and musical activity, which comforts the soul and gives people strength to carry on, is very important at times like these.” Prieto will go to the Casals Festival to perform in the closing ceremony, in which he will sing Mozart´s Requiem on the 17th March alongside the Puerto Rico Symphony Orchestra, the San Juan Philharmonic Choir and soloists such as the soprano Zulimar López, the mezzo-soprano Celia Sotomayor and the bass Hermán Iturralde. The tenor will travel to the Caribbean in a break between his performances of the Kurt Weill opera Street Scene at the Teatro Real in Madrid (which opened in February and will return to the Madrid theatre in May and June). In April he will take the role of Don Ottavio in the opera Don Giovanni, also by Mozart, when he returns to the Ópera Nacional in Santiago de Chile. Afterwards, in early May, he will go back to Puerto Rico to give a concert with the San Juan Children´s Choir. –The young singer will be Sam Kaplan in Street Scene at the Madrid opera house. The Madrid born, Puerto Rican tenor Joel Prieto, who won the Plácido Domingo Operalia Competition in 2008, makes his debut with operetta repertoire on the 5th January with the lead role in the New Year´s concert in Luxemburg, where he will sing the role of Edwin in Die Csárdásfürstin (The Gipsy Princess), by Emmerich Kálmán, alongside the Orchestre Philharmonique du Luxembourg. He will continue to add to his repertoire in February on his return to the Teatro Real in Madrid –his city of birth– to take part in the Madrid premiere of Kurt Weill’s Street Scene (13th to 18th February and 26th May to 1st June.) The piece, which is being co-produced by Monte-Carlo Opera and Oper Köln, is also known as American Opera or Broadway Opera, terms proposed by the composer himself, and contains some elements of the musical genre. “I am very excited about being able to return to Madrid – the city where I was born and which I adore- and also, of course, to the Teatro Real, which is becoming my second home”, the singer explains; “Street scene is a fascinating piece which mixes various genres – including opera, musical theatre and jazz – and it will give me the opportunity to sing in English for the first time. I am sure that our audiences will really enjoy this opera, which is spectacular in every way, and I am delighted to be a part of it”, he adds. In spring, Prieto will be singing works by one of his favourite composers – Mozart. In March the tenor will travel to the city where he grew up and trained, San Juan in Puerto Rico, to perform Mozart´s Requiem in the Casals Festival. 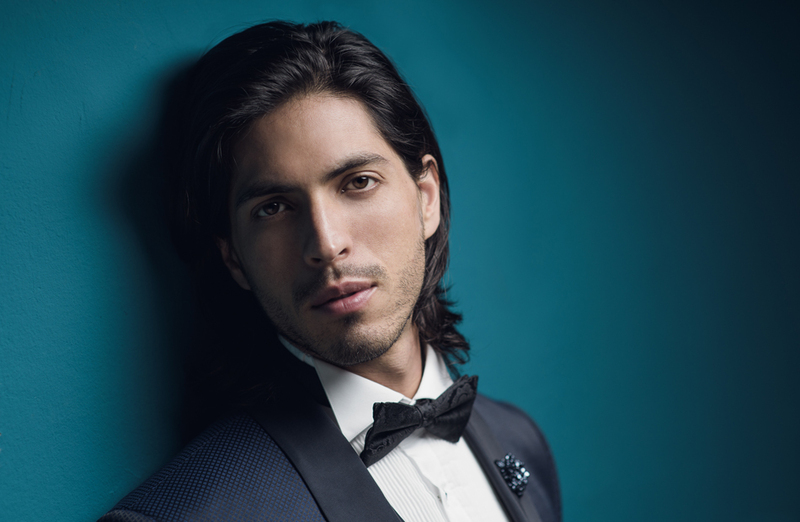 In April he is engaged to take the role of Don Ottavio in Mozart’s Don Giovanni for the Ópera Nacional de Chile, at the Teatro Municipal in Santiago. – The Madrid born Puerto Rican tenor makes his debut as Edwin in the operetta Die Csárdásfürstin in the New Year´s Concert in Luxembourg. 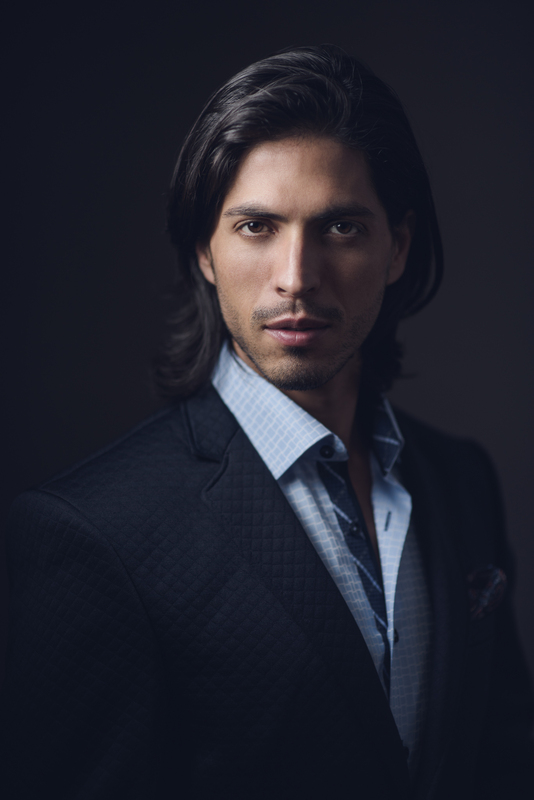 The Puerto Rican tenor Joel Prieto, who has Spanish origins and was winner of the Plácido Domingo Operalia Competition in 2009, will sing the role of Edwin for the first time in the operetta Die Csárdásfürstin (The Gipsy Princess), by Emmerich Kálmán. The award-winning Hispanic artist´s debut with this new theatrical genre will take place at the New Year´s Concert given by the Orchestre Philharmonique du Luxembourg conducted by Nikolaj Znaider, and will take place in the Grand Auditorium of the capital of the Grand Duchy. Later Joel Prieto will travel to the Teatro Real in Madrid, this time with a genre related to opera and American musical, the Madrid premiere of Kurt Weill´s Street Scene (February), which is known as an American opera. In March Prieto will be at the Casals Festival in Puerto Rico for Mozart´s Requiem and in April he will be expected by the Chile National Opera, where he will perform Don Ottavio in Mozart´s Don Giovanni at the Teatro Municipal in Santiago. 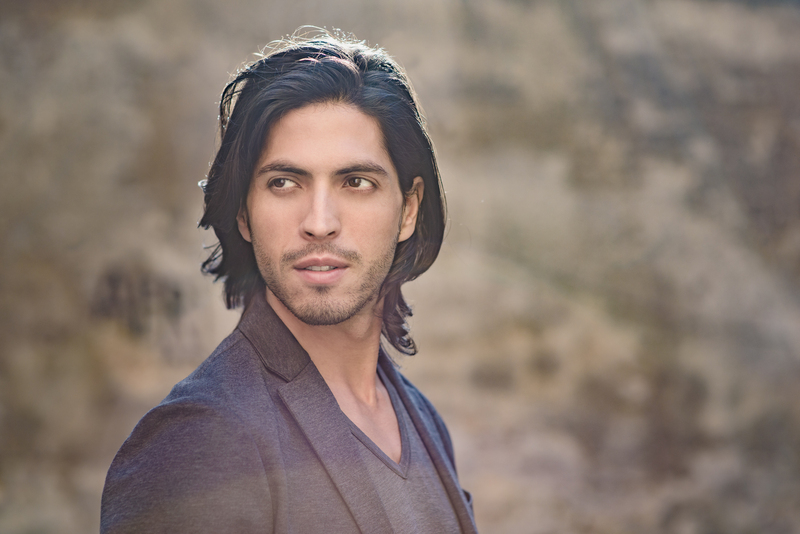 –The singer, who was born in Madrid and brought up in Puerto Rico, will take the role of Tamino on the 21st and 23rd July at the Tianqiao Performing Arts Center in Beijing. After his performances in the opera houses of Dresden, Düsseldorf, Warsaw and Moscow over the last few months, the Spanish-Puerto Rican tenor Joel Prieto will once again wear the mantle of Prince Tamino in Mozart´s The Magic Flute. It was in this role that he recently made his debut at the Bolshoi Theatre, to great acclaim, and he will now take it again for his debut in China at the Tianqiao Performing Arts Center in the capital city (21st and 23rd July). Once again he will be performing in Barrie Kosky and Suzanne Andrade´s innovative production for the Berlin Komische Oper which is inspired by the silent movie genre and which Joel Prieto has already performed at the Teatro Real in Madrid, at the Warsaw Opera and the Bolshoi in Moscow. So far this year the young tenor has appeared in some of the most important theatres in the world, in each case in Mozart operas. These theatres include Los Angeles Opera (The Abduction from the Seraglio); the Dresden Semperoper (The Abduction from the Seraglio); The Grand Theatre, Warsaw (The Magic Flute); and the Bolshoi Theatre in Moscow (The Magic Flute). 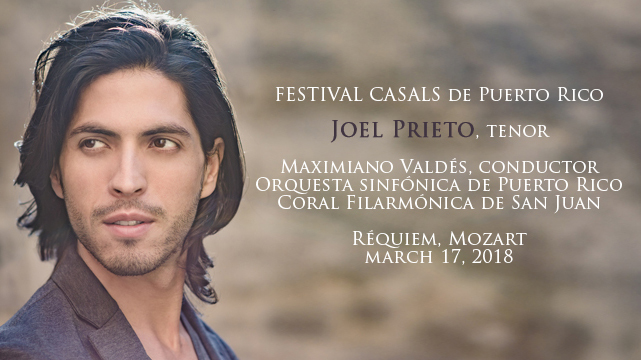 However, not all Joel Prieto´s upcoming engagements are Mozart. 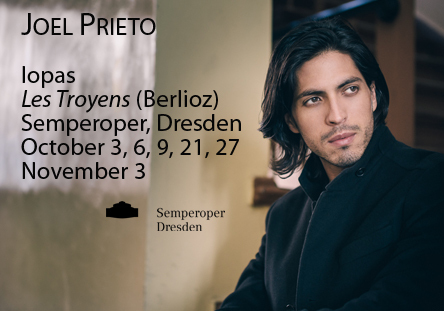 After his debut in Beijing (China) he is returning to the Dresden Semperoper as Iopas in Les Troyens, by Berlioz. He will also return to the Teatro Real in Madrid to perform in Kurt Weill´s Street Scene; he will make his debut at the Casals Festival in Puerto Rico with Mozart´s Requiem and will also return to the Teatro Municipal in Santiago, Chile as Don Ottavio in Don Giovanni.